Lexie has recently found Mc2 on Netflix and a few of the dolls have been added to her birthday list for April. Lexie loves to be creative so she was absolutely thrilled when she came home from school to find this waiting for her. Project Mc2 is a team of super-smart and seriously cool girls who use their love of science and their spy skills as they go on missions for secret organization, NOV8 (that's “innovate”!). They're real girls with real skills ready to take on anything. 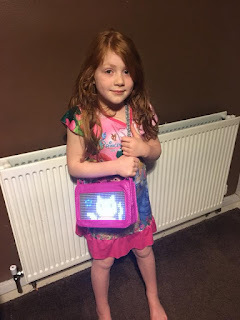 So the Pixel Purse comes pre-programmed with over 10 animations, which light up on the front with a multi colour LED display. You download the free app to design and creative your own styles. You simply plug you phone in to the Purse and download it on to the Purse. 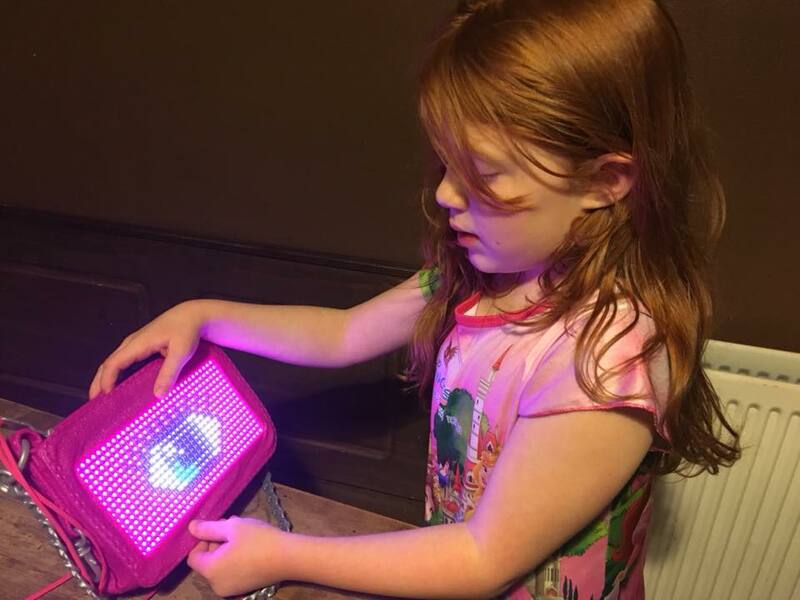 It’s pretty easy to do and Lexie absolutely loved designing her display and changing all the different pictures around on her Purse. The purse is more of a display piece or a show shopper item. The bag itself looks like a bag but doesn’t fit to much inside. I actually thought the bag would be a soft material with the display at the front so it’s hard plastic all the way around. It fits a phone, lip balm and a few little bits inside. The design is very detailed and has all the zip detail like a normal bag. To open inside you pull the zip which opens in the middle. We loved the phone holder inside with stops the phone banging around. Plus it has a cool clip on the side which is great for keys or a Pom Pom keyring. Girls will love this S.T.E.A.M playset that encourages learning through play. Exploring Science, Technology, Engineering, Art and Math in a fun and unique way.